Some of my favorite travel bloggers, like This American Girl and Young Adventuress seem to have the unplugged, unbridled wanderlust thing down while simultaneously using social media to help capture and illustrate their story. As much as there are news articles floating around the internet about how our wired world is negatively impacting our society, when it comes to travel I believe technology, or Social Media rather has a place in this world to help us better share, discover, engage in our adventures near or far. Adds depth and real-time perspective to the planning process – Guidebooks and six-page feature articles highlight a destination; those mediums are still trusted sources in travel. However, today we have the option to seek information beyond those cover pages with niche travel websites and blogs, to apps with discovery options beyond a few photos. Currently, I am using Instagram and Trover to plan my trip to Australia and New Zealand. 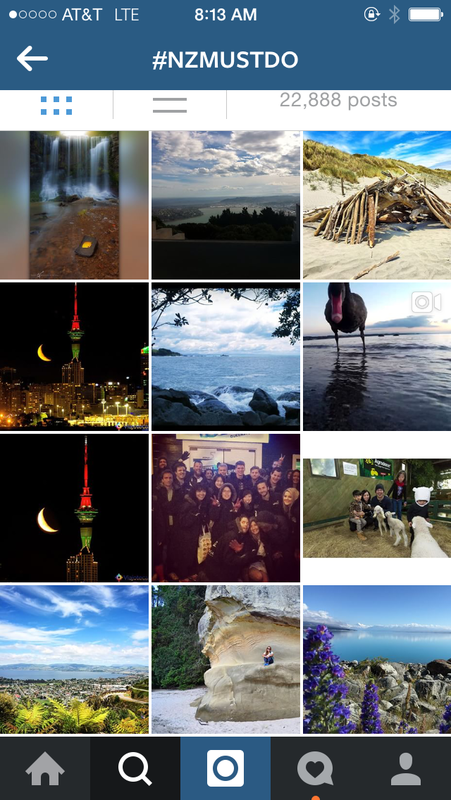 On Instagram, I follow the tourism bureaus of the cities we will be visiting and click through their designated hashtags for inspiration, like #seeaustralia and #nzmustdo. Trover, as Young Adventuress points out is particularly helpful at plotting out discoveries with its geolocation feature. Share experiences in-real time with loved ones – For me, part of the excitement of travel is about sharing experiences with eager eyes and ears. Navigation tools saves time, allow for spontaneity – sometimes there just isn’t enough time to explore a destination’s full potential but that doesn’t mean one can’t make what time you do have as rich as possible. Speaking of real-time, I’ve recently had the pleasure of enjoying beautiful candid images of my family shot with my sister’s new Sony digital camera; it comes with a blue-tooth connection which allowed her to send the photos straight to my inbox directly from her camera. Streamline paperwork – Growing up, I remember Summer-long tours from Florida to New York or the road trip through the South West were accompanied by a binder full of printed MapQuest directions, Bed and Breakfast confirmations, a plethora of maps and other points of interests bursting from its pockets and sheet protectors. The result was bulky, heavy and at the time, the definition of portable. Today, key addresses and points of interest for Australia and New Zealand will likely be saved to a collaborative spreadsheet or note-taking app, like a Google document or Evernote. Once we’re in a destination, we could whip out the Trover app once again to discover things to do, eat and see nearby. If the countries are accepting Apple Pay or similar, perhaps we’ll take advantage of that. But what about the nostalgia of packing a map and an open mind, you say? I believe there’s room to do just that, and we will, but why not have the best of both worlds?